I love belts, I think they totally make an outfit (same as necklace and a scarf). I always wear one (trousers fall down if I don't). I currently own vibrant green, red, tan and a black studded one. What I don't have and do need (sadly on ban though, hopefully my Mum might read this and buy me one??!!) is a yellow, blue and animal print. The latter I am after a lot. Do you wear belts? What style? Today I went for a walk in the woods with friends and stopped off at pub for lunch afterwards. 3 adults, 2 dogs and 5 kids - was a lovely morning. Out in a bit for a night out with friends. I think it's called a drinks party but that makes me sound so old! Some great belts Fiona, I really like the ASOS faux pony belt but I've recently brought one from Banana Republic so don't think I can justify two yellow belts!!! 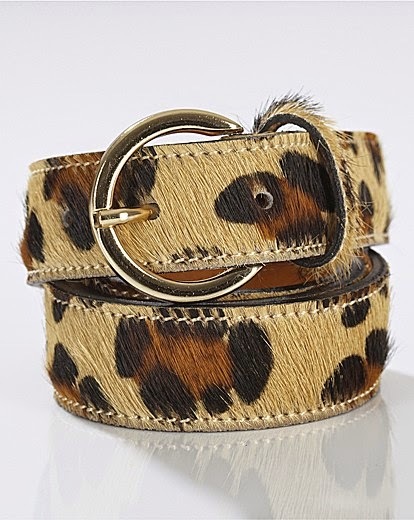 And I have the leopard print one, it's a real stunner - I love it, in fact I'm wearing it today! To be honest, I never give much thought to belts. 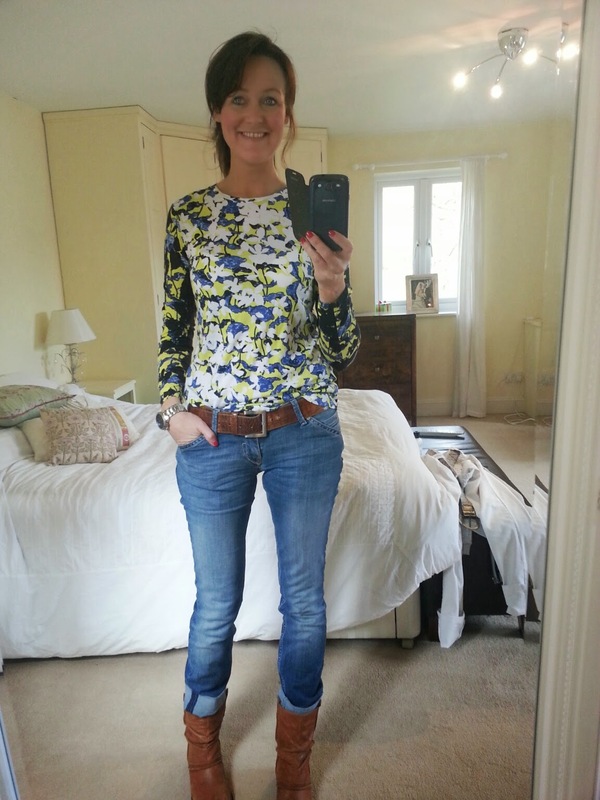 I don't wear them that much and certainly never on show ... so cheap and cheerful works for me!